Sometimes a normal car wash just won't cut it. That's where our Tire & Wheel Wash package comes in! Did you know all that brake dust, salt and road grime just collects inside your inner wheel? Yuck! 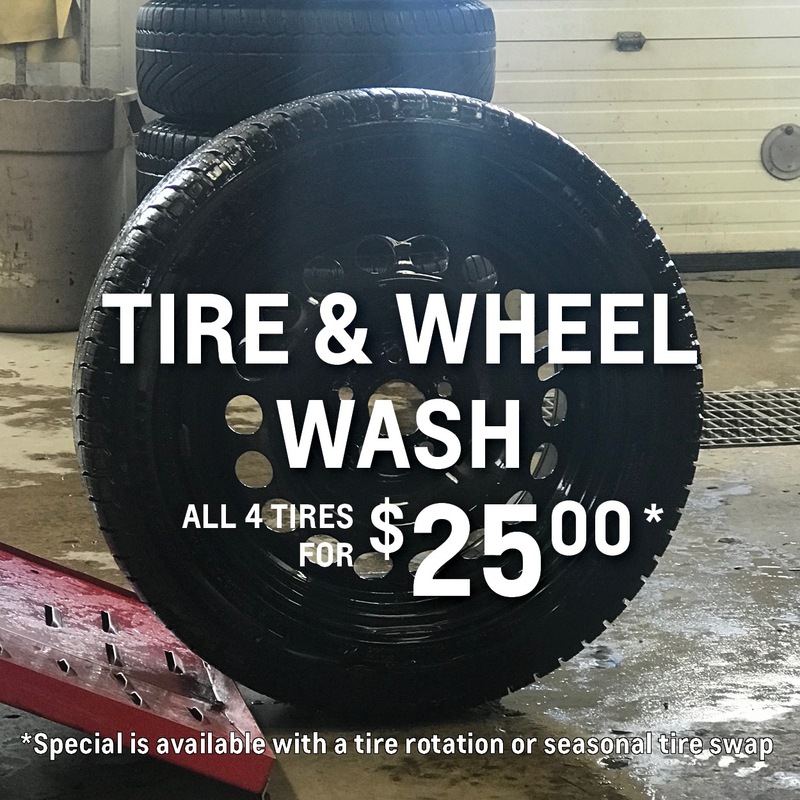 Let us clean your tires and wheels inside and out for only $25.00! Don't forget to have us give your other set of tires a good clean before we store them for you, too!